SEE BELOW To get started on the fun stuff right away! Download exclusive & dazzling printable decorations instantly. It's easy to do without the shipping cost or delay. We Add New Printable Party Supplies Every Month! It's fun , order, print, assemble, & party! 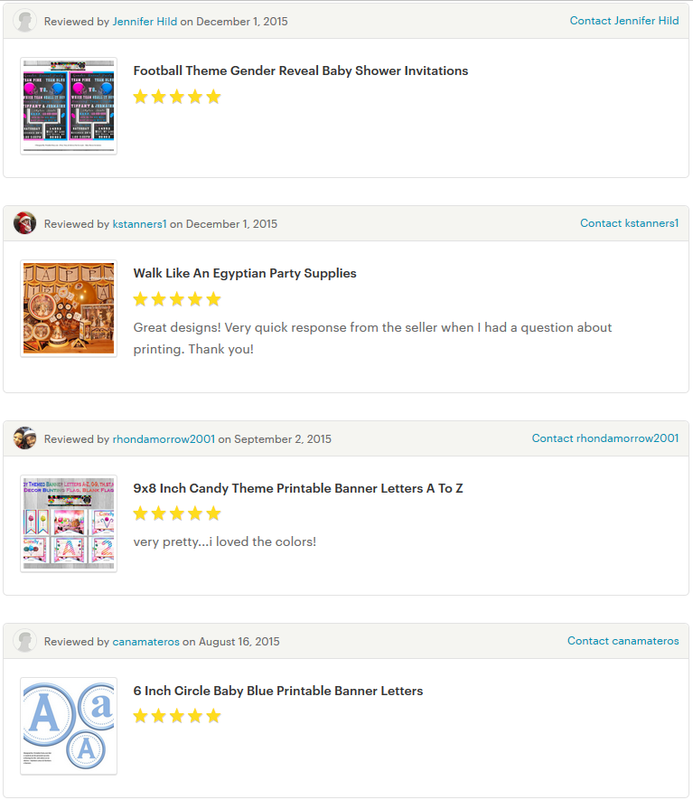 Printable party supplies happen to be an easy digital way for quick event & party theme embellishment. Hop on in & select the decorations that'll make it easier for you to personalize your theme, colors, & celebration! 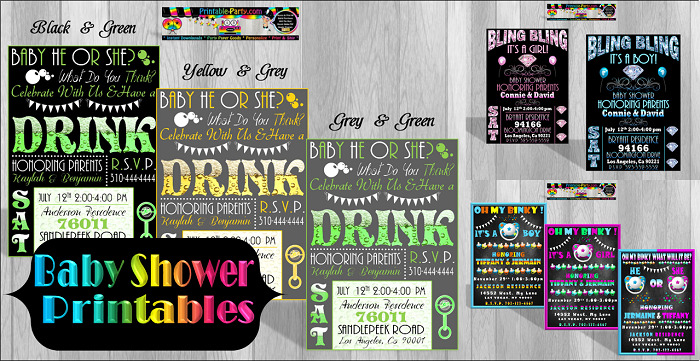 We design cool color blasted printables like: chip bags, invitations, banner letters, birthday themes, baby shower themes, favor boxes, bottle labels, tags, toppers, & more! Great for schools & for use in projects. Awesome for decorating featured cake tables & guest party areas. weddings, birthdays, baby showers, holidays graduations, & more! 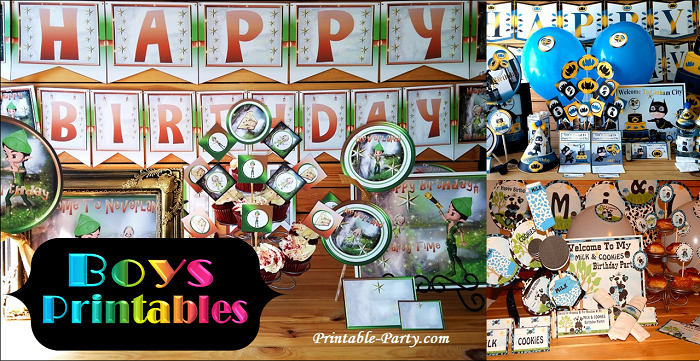 Printables are among the favorite accessories to use in party decoration & customizing. We know parties! 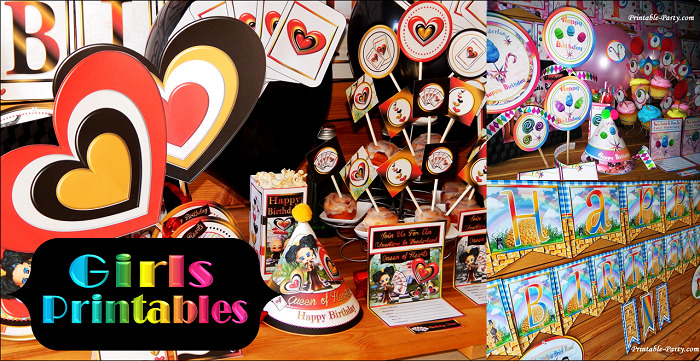 Our designers dream up & invent impressing printable birthday & event supplies, so you can create unique themed parties. Wow! 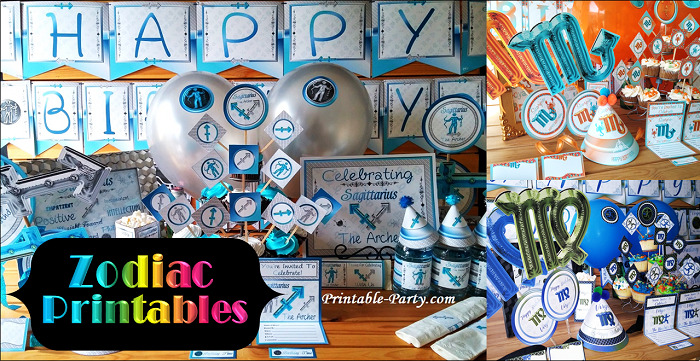 your friends & loved ones at your next event, birthday party, or special occasion, by using fun Do It Yourself party printables. All DIY printables are made for you to print out yourself. All printable supplies that we design are created to be printed out by you at home or take/email your purchased PDF's to staples office store or the print shop. Our printable invitations, party packs, favors, & letters, are all made to be printed on to 8.5x11 inch sized paper. 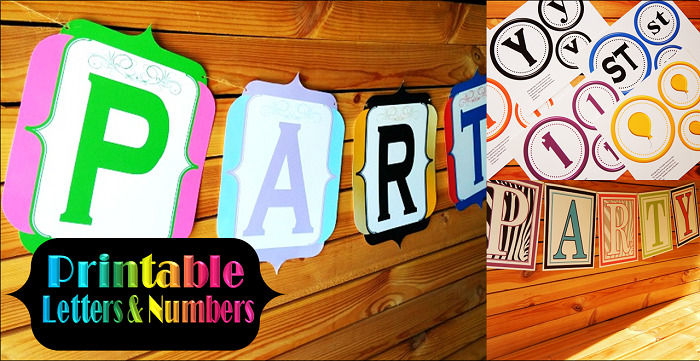 We create our printable supplies to be easy to assemble with using only minimal supplies. You may only need to use scissors, small sticks, glue stick, stapler, or tape, & string or ribbon to assemble party packs & more!